C.I.A. officer David Atlee Phillips called it The Mighty Wurlitzer. 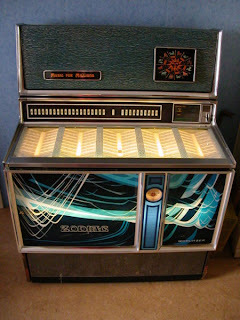 Put in a quarter and it would play your favorite tunes over and over, across the nation, for years on end. He was referring to the Agency’s influence on mass media, the ability to plant a story in a variety of outlets and then just keep repeating it as if it was true. In newspapers and magazines, on television and radio, through a shifting array of advocates, a thousand times a day, as though it was widely accepted, for decades if necessary. And if the Agency preferred silence, the Wurlitzer could do that, too. Deafening silence. Silence is what we heard when Everette Howard Hunt, Jr. died. He named names in the assassination of President Kennedy, all of them connected to the C.I.A. He didn’t merely tell his son about the plot; he made a twenty-minute cassette recording about the murder to be released after his death. An excerpt is available now on the internet; reportedly, the entire tape will be out soon. A.B.C., N.B.C., and C.B.S. have insisted for nearly 45 years that the official fairy tale of John Kennedy’s murder was true. The New York Times, putatively the nation’s paper of record, has pushed the story just as long. Other news outlets have done the same. Now that Hunt has joined the list of operatives who have confessed, the networks and the newspapers have nothing to say. In 1978, David Atlee Phillips admitted that a key part of the C.I.A.’s cover story — the “lone-assassin’s” trip to Mexico City — was false; the evidence was fabricated. Phillips was in a position to know since he helped create that tale. Mainstream media still hasn’t reported it. C.I.A. contract agent Robert Morrow wrote a book about his role in the murder. It’s a pretty bad book, but that’s not the point. Morrow’s confession never turned up on the six-o’clock news. After Oliver Stone’s movie, JFK, was released in 1991, Chauncey Holt came forward with his confession. Mainstream media responded by laughing him off and calling Stone paranoid. More than twenty years ago, C.I.A. asset Marita Lorentz testified in open court about her knowledge of Hunt’s part in the murder. Don’t tell me; let me guess. You’ve never heard of Marita Lorentz. For some reason, the Mighty Wurlitzer doesn’t mention her. Of course, there are more recent numbers on the Wurlitzer play list. A favorite these days is “We Didn’t Lie,” the soulful plaint of Agency innocence in the intelligence plot leading to the 2003 invasion of Iraq. By your silence you helped build the case for war. You betrayed the CIA officers who collected the intelligence that made it clear that Saddam did not pose an imminent threat. You betrayed the analysts who tried to withstand the pressure applied by Cheney and Rumsfeld. Most importantly and tragically, you failed to meet your obligations to the people of the United States. Instead of resigning in protest, when it could have made a difference in the public debate, you remained silent and allowed the Bush Administration to cite your participation in these deliberations to justify their decision to go to war. Your silence contributed to the willingness of the public to support the disastrous war in Iraq, which has killed more than 3300 Americans and hundreds of thousands of Iraqis. It’s hard to believe, isn’t it? Former intelligence officers think there was some sort of arrangement to deceive the American public? Whose side are they on?